Raise your hand if you're suffering through hot weather right now. I don't know about anywhere else, but this week we've been hit with some horrible humidity. It's overcast all day but the heat is just hot and sticky, I need some thunderstorms to break this up stat! Whether your fighting muggy weather like me, or suffering through bright direct sunlight, I have a cool tip for everyone: give skin icing facials a try! Skin icing is exactly what it sounds like: ice cubes on the face. Don't worry it's not as barbaric as it sounds, but before we get into the how it works, let's first explore some reasons of why to do it. 1. Smooths skin and tightens pores. The contact of the cold on your skin helps to tighten and shrink enlarged pores temporarily. It's a great step to take directly after cleansing in order to snap those pores shut after you've gotten all the gunk out. 2. Reduces puffiness and improves circulation. Ice is believed to to improve circulation in your skin by constricting the blood vessels so that less blood goes to the surface of the skin. Doing so will reduce any inflammation or puffiness and gradually your body will send an increased flow of warm blood to the area. 3. Fight wrinkles and blemishes. Skin icing can ease the signs of wrinkle and slow the appearance of new wrinkles, icing soothes irritated skin. This same idea can be applied to blemishes because it will slow inflammation. 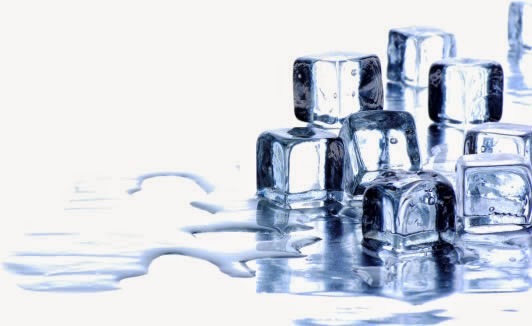 As a bonus, icing makes skin more permeable for topical medicines by reducing inflammation in the pores and making it easier for medicine to sink in. Now that we have explored some benefits of this simple facial let's get into just exactly how to do it! First of all, don't just take an ice cube and rub it all over your skin, that will actually do more damage than good. The icy shock of the ice cube could lead to burst capillaries (and the appearance of spider veins!) and freezing your skin. Instead wrap one or two ice cubes into a soft washcloth and wait for the ice to start to melt and dampen the cloth. Apply the cloth to clean skin and move in gentle, circular motions, taking care not to spend longer than two minutes in each section. Pat your face dry afterwards and follow up on your normal skin routine. For an added bonus you can infuse your ice cubes with skin loving ingredients such as aloe, green tea, rose water, lemon, cucumber, or anything else really for additional skin benefits! Some aloe infused ice cubes is also great for soothing a sunburn. Have you tried out skin icing?